Branding is the image of products of specific company. The advertising campaigns with a firm and steady theme create a differentiated figure of product as well as company. Branding helps to make them separate from the other competitive products. 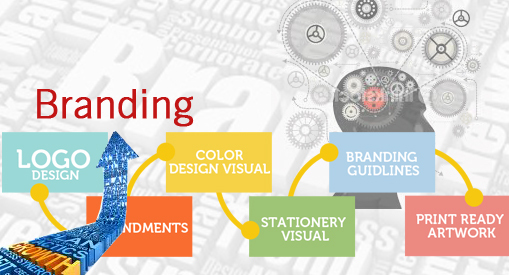 Corporate branding design service creates the sound base of branding by visual representation of your business. It may help the business many ways. Customers remember the business by strong brand name or logo. To make high market value of a product, service or concept, brand name is created by which it can be distinguished from other that kind of product, service and concept. Generally people refer to brand as a logo or tag line, but brand in real sense is a much larger. It is like a unique identity of an organization. Branding is an overall impactful impression on customer’s mind at physiological and emotional level, which may help them to decide about purchasing of certain products. It is deciding factor rather customer will keep purchasing product and also tell others to buy it. Experienced and professional team of executives of OUTSOURCING WEB SOLUTION possesses expertise to create unique name and image of the product by successful marketing campaign with a consistent theme. We establish importance of product in customers mind by projecting significant and differentiated presence of product in the market. It helps to attract and retains reliable customers. Corporate branding design purposefully reflects image and identity of your products and services. It acts by visual demonstration of trade and deliver positive communication about your products and services. We provide exclusive services of branding solutions to our global customer base across world to create their unique identity and fulfill their requirement of creating a brand. We create your brand of your company showcases just three things.